We reached Festive Hotel at about 3pm and waited for ten minutes to check-in. There are only two check-in counters available. The lounge and reception is quite small, I can’t imagine what will happen when a tour group checks-in with so many visitors and tones of luggage. All the children are given a goody pack (toys and games in a pouch) upon arrival. There is also a children area in the lounge with a big TV showing cartoon. Interesting idea indeed, it keeps the children entertained while the adults are checking-in. 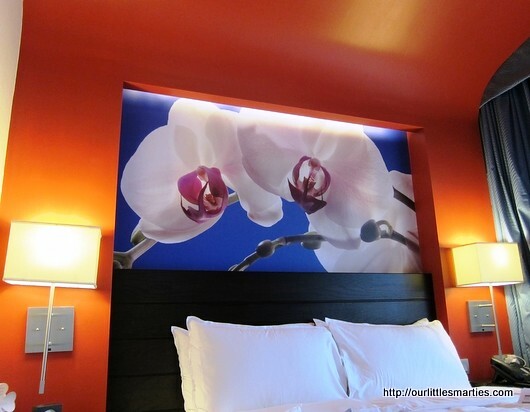 The room is clean, bright and cheery with large orchid motifs (more on Asian taste). 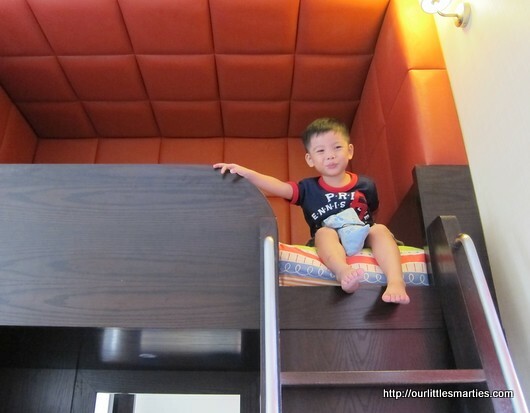 It has a king-sized bed, a children loft bed and a sofa bed that can be folds out as a double bed. 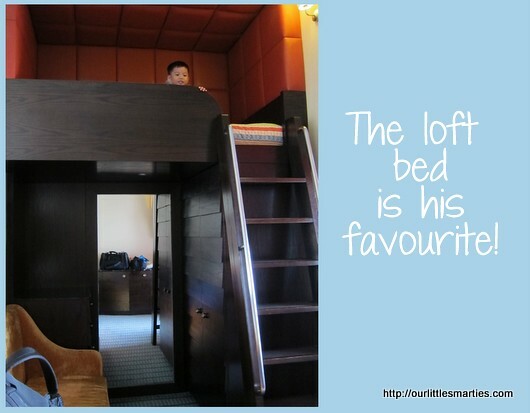 The highlight of the room is definitely the children loft bed. I’m sure all the kids will love it, including our Little Edison who is always busy climbing up and down from the loft bed. 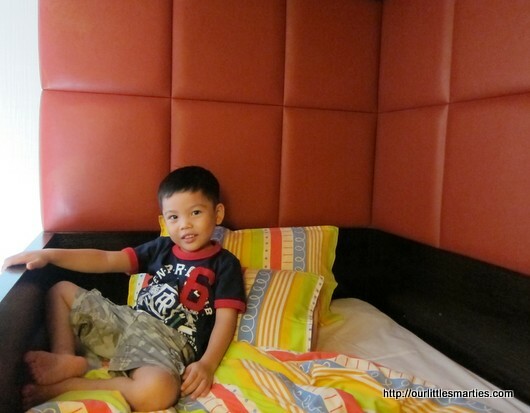 It’s actually quite comfortable with padded walls, pillows and comforter for children. 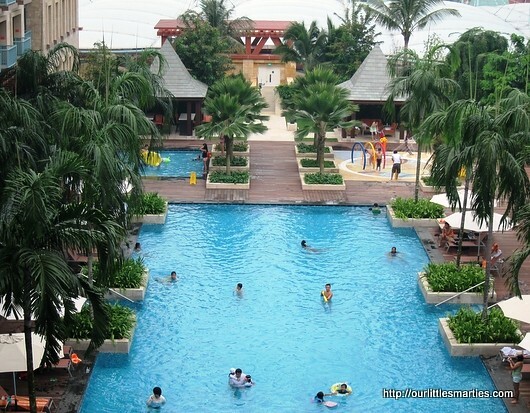 The balcony is very spacious and it has a beautiful pool view. 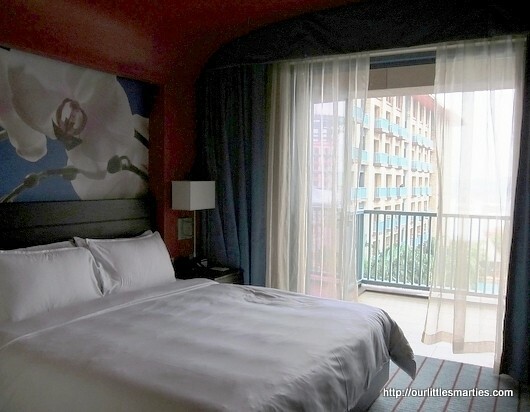 Tips: Not all the rooms have pool view. You have to request for it during booking. 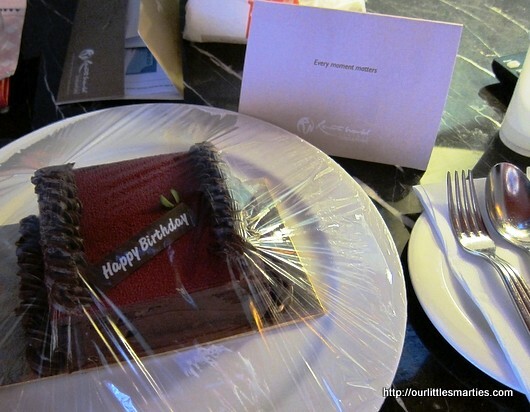 The hotel also prepared a complimentary birthday cake for Little Edison and he was simply thrilled. 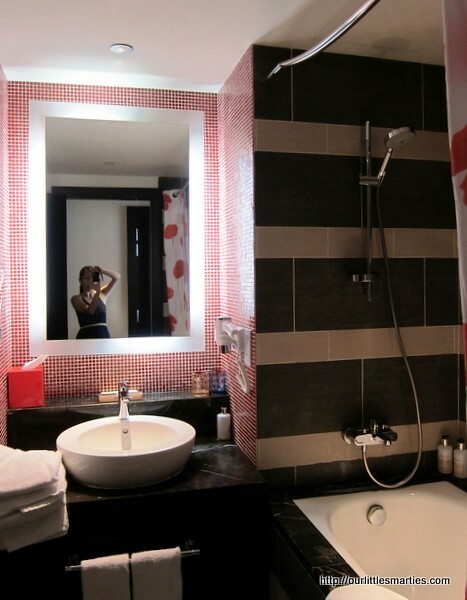 There is a bathtub in the bathroom. The hotel provides slippers, toothbrush, shower gel, shampoo, shower cap, tea, coffee and complimentary bottled water. There is also an ice-machine and a snack machine on every floor. 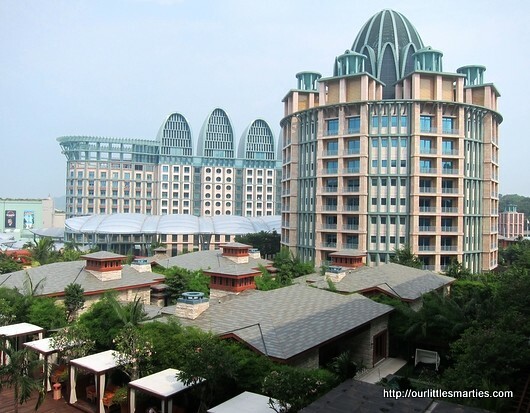 Our package comes with a $25 RWS gift voucher, daily breakfast for two adults, welcome drinks, two one-day adult passes to Universal Studios Singapore, complimentary car parking and complimentary entry to Sentosa. The breakfast is at Fiesta. I would say that the selection of food is good for both adults and children but quite limited in variety. This was exactly what i was thinking of initially for Shawn’s birthday! in the end, we still went with another plan to accomodate the old folks…. but it looks absolutely lovely. 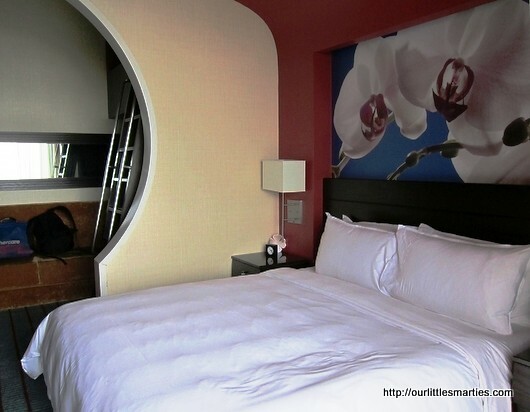 The room was lovely – good for family outing. I’m sure Shawn had a fantastic party too! Emily, for he children loft bed, u let Edison sleep on his own ? any worries he might fall down? since it’s so high. Not for your case since you akready went home safely heee. if for us to bring kids. can share the package price? with complimentary cake ? so good right! May i know which package that you bought? thx. Hi! 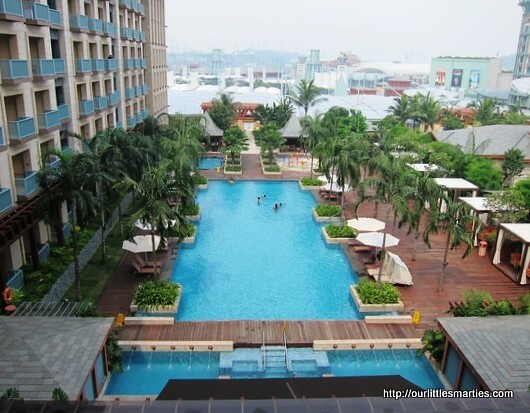 The complimentary birthday, did you note that during booking as well? Or did you just mention it when you were checking-in? Thanks!